Not the cheapest but great price for its features. 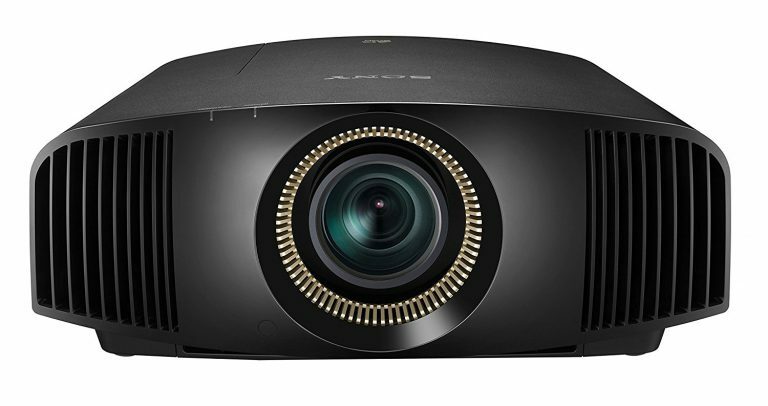 Summary: If you’re willing to make a significant investment to get a true 4k projector with outstanding image quality, 3D capability and several other features, look no further than the Sony VPL-VW385ES. If you’re a convinced videophile, then you are most likely quite picky when it comes to the quality of the movies you watch. This also means that you notice details that might appear insignificant to other people. The good news is that the Sony VPL-VW385ES projector might be an excellent option for you – due to several reasons. This device offers good value for the money. That is to say, if you don’t have the budget to invest in a native 4K projector, but you are looking for a unit with a promising performance, this device is a decent option. Even if it’s not cheap, the price is more than fair considering all the features you get – as you’ll clearly notice in this Sony VPL-VW385ES Review. 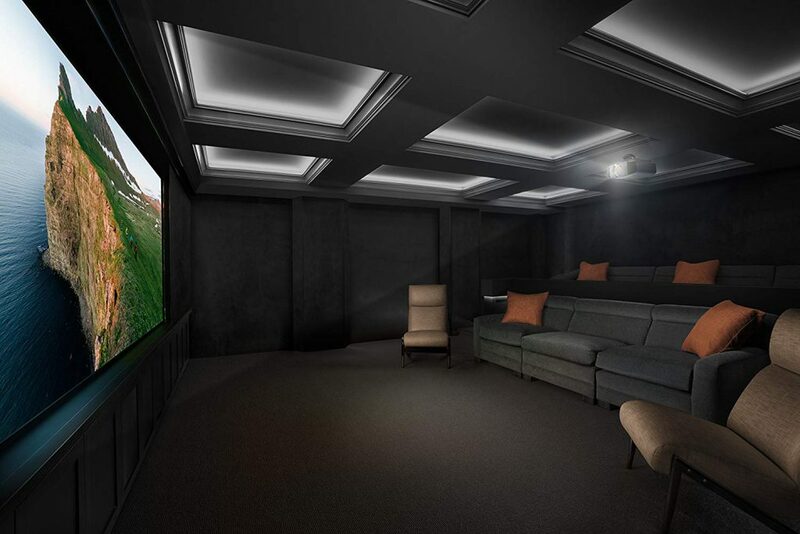 On the other hand, if you’re not too fanatical about the video quality of your projector, then perhaps investing such a sum of money in this device might not make sense for you. Expressly, the Sony VPL-VW385ES was meant to substitute for the company’s older model – namely the VW-365ES. But the improvements are quite impressive. While the distinctions aren’t necessarily revolutionary, there are several benefits that have drawn our attention – namely the enhanced optical performance, the added lens memory, as well as the added dynamic iris. Worth every penny. This projector has amazing blacks and bright whites. My Xbox 1 X shines with this projector. This is the first projector that gives tv competition. 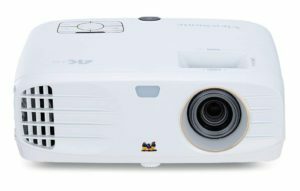 What Are the Main Improvements over the Last Model and Who Should Consider this Projector? The previous model – namely the VW-365ES – wasn’t equipped with lens memory even if the lens features were indeed motorized. In the meantime, the newer model presents movie lovers with the option of choosing a widescreen (such as 2.35:1). Therefore, you won’t have to deal with the annoying letterboxing at the bottom and top on most movies. Nevertheless, presumably, the most notable enhancement is the inclusion of a dynamic iris. This aims at optimizing the black performance level. In contrast with the last generation, the optics has also improved. Therefore, the quality of the picture is notably better. For the price, this unit delivers in terms of image quality. Therefore, if you really want to enjoy 4K first-class image quality, this device is for you. Now, let’s have a closer look at the main characteristics of the Sony VPL-VW385ES. Great for a dedicated hmne theater space. Enough lumens for a big pic in controlled lighting and the powered aspect ratio was, IMHO, worth the bump up from the 285. I have a 158” CIH setup on a 1.1 gain white screen. The features are the first things you should take into consideration before you make the decision to get this projector. So, let’s see what this projector has to offer. We should point out that the color distribution of this projector is quite impressive, so to speak. Considering that this is an immense challenge when it comes to projectors, this unit does deliver. At the same time, it’s worth noting that the device is customizable, enabling you to personalize the setting depending on your individual preferences. That is to say, you can test different settings so that you can really enjoy your new 4K projector to its fullest potential. To be more specific, this has four times the resolution of a typical full HD. To that and, bear in mind that you’ll get excellent image quality – of 8.8 million pixels (4096×2160) in order to enjoy a more qualitative image. For example, you can watch your favorite movies from way closer than you would in the case of full HD. Pretty great, isn’t it? One thing we’re sure you would be curious to learn about is the 3D specs of this projector. And this makes sense, of course, considering the growing popularity of 3D movies and material. In this view, we were quite satisfied with the 3D performance of the device. Expressly, thanks to the RF 3D transmitter, which synchronizes with the projector, you can use this device for 3D materials, as well, which is quite great. Versatility is, without a doubt, an important characteristic you should look for in a device such as this one – and gladly, this Sony unit doesn’t disappoint. Moving on, just as in the case of HDR, if you want to play 3D movies on a projector, you need to adjust the level of brightness accordingly. To be more specific, brightness plays a key role in this view. However, note that you might have to play with the settings a bit until you find the specifications that suit your style 100 percent. Some people enjoy testing different specs – but this isn’t for everyone. In spite of that, though, it would be safe to say that the coloring on 3D material is quite accurate when it comes to this Sony device. If you’re a perfectionist, you might not be 100 percent content, but that’s just how things are. For example, only a true and convinced videophile is likely to notice the faults. It’s no secret that the brightness level on a projector plays a key role in the overall quality of the image. This is why this always interests us whenever we put together a projector review like this one. More specifically, you get 1500 lumens of white and color brightness. These are generated by the highly capable 225W lamp. For example, considering the specifications on the brightness of this unit, you can attempt to project images up to 300’’ diagonally. What could be said about the sharpness and processing of this device? For most of the time, the colors are quite sharp and distinguishable – which is obviously a highlight of the Sony VPL-VW385ES. Nevertheless, when the image comprises several textures and colors, there is the likelihood that the quality might be affected. In some instances, we noticed inconsistencies in both coloring and texture. Therefore, this could be a minor inconvenience. Still, if we were to assess the quality overall, we could argue that we were satisfied with it. Without a doubt, in view of image sharpness and processing, you can always get better quality. But you do that at an extra cost. For the value of the device, though, the quality is outstanding, so to speak. And this is precisely what you should factor in at this point. Moving on to the image processing, Sony distinguishes itself thanks to the Reality Creation feature. What does this entail – you might ask? This characteristic aims at significantly optimizing the overall image quality, offering excellent detail enhancement and sharpening. Obviously, this can make the world of a difference, and our favorite part about it is enjoying excellent pixel mapping, alongside other unique characteristics. Thanks to the 2.06x zoom, finding just the perfect spot for installing your projector won’t be as difficult as you might think. What you have to do is regulate the position of the projector up to 85 percent vertically and 31 percent horizontally. This way, you can be 100% confident that you’ll get the ideal angle to watch your favorite movies whenever you feel like it. We thought this feature was worth mentioning. Furthermore, you should be pleased to find out that this projector is compatible with a wide range of devices. This is primarily due to the HDCP 2.2 compatibility characteristic. Therefore, you can view your favorite movies in 4K from more than one source. This is my third Sony projector. They have all been good…but this one is AMAZING!!! The beautiful colors it reproduces with HDR are truly breathtaking! The 4K image is crystal clear and very bright…although my theater room is a “Batcave” (extremely dark)! But if anyone is on the fence about this projector…don’t be because you WON’T be disappointed!! Extremely happy customer! We should mention that you have the possibility of picking one of the nine picture calibration modes, depending on what appeals to you the most. What are these modes you can choose from? Well, you can choose from the following: two theater film modes, reference, cinema digital, game, photo, bright TV, TV and bright cinema. Aside from that, in order to enjoy a higher degree of control, the manual color-tuning tool enables you to take your customizing to another level. Another interesting characteristic about our unit is the fact that it incorporates an ultra-high-pressure lamp. What does this mean? This translates into a lamp life of no less than 6000 hours. If we were to compare the Sony VPL-VW385ES with other units in the marketplace in the same price range, then we could say that Sony truly distinguishes itself from the crowd. Aside from that, it’s worth outlining that you will get a warranty of three years with the purchasing of the product. This definitely offers peace of mind when making such an investment. In regard to the color quality of this device, we were fairly impressed in this area, as well. Thanks to the TRILUMINOUS color, this unit aims at reproducing aqua blues, crimson reds, as well as emerald greens. Therefore, the landscapes displayed on the screen will appear much more lifelike than in the case of similar units on the marketplace. We’ve already mentioned that you can select the game calibration mode if you want. And while you can utilize the projector for this purpose as well, there are still some shortcomings in this area that are worth outlining, so that you know what to expect. That is to say, this particular device isn’t necessarily the perfect choice for shooters or games in which the input lag might lead to complications and problems. For the most part, though, the return on your investment, in this area will be decent. Expressly, the entire gaming experience, as a whole, will be a positive one – and that’s what matters most. Consequently: should you play games while using this projector? Undoubtedly, you can do that. You will most likely enjoy this gaming experience, not to mention that it will feel surreal, on occasions. Leaving aside the potential challenges that could arise, the device does a decent job in this respect, as well. Did you ever watch a movie on a projector and felt as if the action was dispersed due to the impaired quality of the device? That shouldn’t be an issue with the Sony VPL-VW385ES. Regardless of the material you’re watching, you will get to enjoy a unique, smooth on-screen look, even when it comes to fast-moving action sequences. This is achievable thanks to the manufacturer’s unique characteristic – namely the Motionflow. This technology aims at creating and inserting extra frames between the original ones. First, it compares and contrasts fundamental visual factors on successive frames. Afterward, it assesses the split second of missing action in the sequences that proceed. Cinema purists should be happy to find out that the True Theater 24p mode aims at mimicking true-movie projection, as well. The product comes with its limitations, mainly when it comes to gaming. The quality of the image might suffer. When the image features a lot of textures and colors, a blurring effect might emerge. Before we conclude this Sony VPL-VW385ES review, we would like to give you a legit alternative – namely the Optoma UHZ65 projector. Both units have similar performance and characteristics when it comes to image quality, contrast, blacks, detail, and resolution. If you intend on using the device for gaming or 3D material, then the Sony might be a better option. Meanwhile, if your focus is on long-term brightness stability, then the Optoma UHZ65 is a better option. As we conclude this Sony VPL-VW385ES review, we are hopeful that we have addressed most of the questions you might have had about this amazing projector. It definitely has a lot of potential, considering the outstanding image quality, processing, sharpening, as well as the state-of-the-art characteristics included by the manufacturer. Considering the price of the unit, it offers excellent value for the money paid, enabling you to enjoy excellent 4K quality without necessarily paying a small fortune. Even if, at the end of the day, you may still select a more inexpensive product, this one definitely delivers in terms of 4K support, clarity, and colors.